Lost: Boys is an anthology of four short comics, brought to you by Disconnected Press. Remember when you got your first bike? There was something about that first bicycle that mattered. You could go further, faster than ever before. You lived in a bigger world. But a bigger world can be daunting, harsh. A bigger world can lead you to things you never expected. In a bigger world, it’s much easier to be lost. 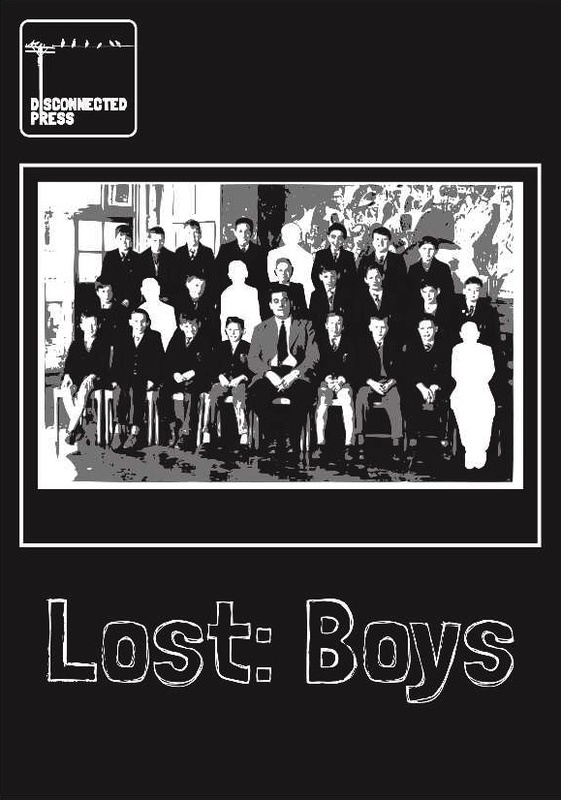 Lost: Boys was launched at Bristol Comic Expo in May 2012. We are delighted to have sold out of our first print run, so there are no copies available right now. Our second print run and a digital edition will be available soon, so get in touch if you’d like to reserve a copy! Linsay Powell of Comics Anonymous says: The Lost: Boys anthology has raised the bar for modern anthologies. Each page and panel within shows such deliberation that it’s impossible not to immediately take notice of Disconnected Press and seek out these individual creators’ other work. This is an emotive and sensitive anthology that will be well worth your time in seeking out. Lizzie Boyle is a writer of comics and fiction. She has been published in Hallowscream, Dr WTF!? and Disconnected and will soon feature in FutureQuake‘s Something Wicked. She has been shortlisted for the Fish Publishing Short Story Prize and the Flash500 Flash Fiction Competition. Read more of her work at lizzieboylesays.wordpress.com. Louis Carter has been getting ever busier since his first story Lugal , written by Matt McLaughlin, was published in Temple APA. He is working with Matt again on Rise of the Mekkosapiens. He has had work published in Vanguard and in both issues of Dr WTF!? He worked with Lizzie Boyle on Storage, published in Hallowscream in 2011. Find out more about Louis’ world at http://lrgcarter.blogspot.co.uk/. Neil McClements has been drawing for just over a year, during which time he has been published in Lost: Boys and in Dr WTF!? He is currently working on a new comic called Salvage for Irish publisher Abandoned Comics. To see more of his art, visit neilmcclements.deviantart.com. Brian Rankin began drawing comics two and a half years ago, inspired by a talk given by David Bishop. He has worked with some of Scotland’s best emerging writers on three titles which we hope to see in print very soon. Lost: Boys features his first published work. See more of Brian’s art here. Tony Rothwell created his first comics in primary school; more recently, he’s had work published in Dr WTF!? (working with Lizzie Boyle), Something Wicked and Hallowscream. Follow his blog at http://roughwell.blogspot.co.uk/ or see more of his art at http://www.talenthouse.com/jampotillustrations. Owen Watts lettered Lost: Boys. He is a one-man-factory of comic writing, art, colouring and lettering. He is the editor of Dr WTF! ?, an anthology of time-travel and surrealism, and the new Psychedelic Journal of Time Travel. He is the chief organiser of Bristol Comic Creators and the moderator of the art competition on the 2000AD Online Forum. Visit his world at http://crazyfoxmachine.blogspot.co.uk/. Cover artist Conor Boyle is currently producing graphic novels for Markosia and Accent UK. He was part of the artistic team for Barry Nugent’s Tales of the Fallen, and drew Dark Judgement 1 and 2 for FutureQuake Press. Find out more at http://pencilmonkeymagic.blogspot.com. To pre-order your copy from our second print run, please email lizzie@disconnectedpress.co.uk.